A man undergoes circumcision. Courtesy Photo. The distribution of free underwear for males after undergoing Safe Medical Circumcision (SMC) in Moroto district has boosted the program. 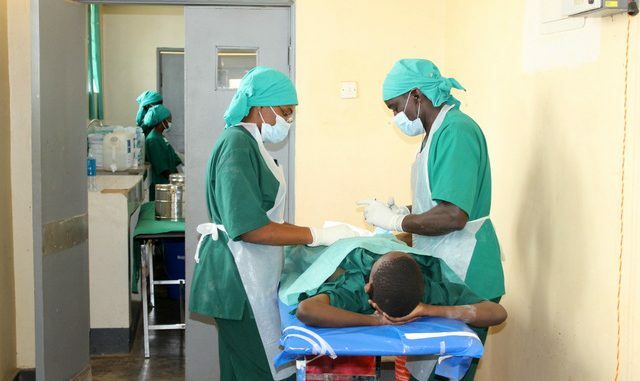 Abraham Kizza, a mobilizer from the Health Ministry, says the number of males turning up for circumcision is overwhelming in some places like Rupa Sub County. He says more than 200 males were circumcised in the first two days of the program at different SMC camps in Moroto. Kizza attributes the overwhelming turn up to the free underwear incentive. He notes that whereas the locals prefer wrapping themselves with sheets or trousers without underwear, some of them are excited to try out the underwear. Kizza says the idea of distributing underwear was adapted by the stakeholders to help in the management of the wound and hygiene. Samuel Lokiru, one of the beneficiaries of SMC in Natumkasikou village in Rupa Sub county, says he picked interest in circumcision after learning that he would receive proper care. “At least this team, the first people to circumcise used to leave men with a lot of pain. Some boys took months with wounds that actually turned septic,” he said. SMC activities have been very slow in Moroto and the entire Karamoja sub region over the years. Records at Moroto Regional Referral Hospital indicate that only 919 males mostly youth from urban areas underwent SMC from 2014 to March 2017. Dr. Abubaker Lubega, the Moroto District Health Officer, blames the slow response to the program previously on poor mobilization especially in rural areas. He notes that whereas the mobilization has been stepped up, the free distribution of underwear and glycerin to beneficiaries has boosted the turn up. Moroto district launched the SMC program last week with support from World Health Organization (WHO) and partners under the Karamoja United Nations HIV Joint program (KARUNA). It targets at least 500 males in a week and is expected reach out to all males in the district within a few months. Health experts recommend SMC as it helps reduce the risk of HIV infections by 60 percent. SMC is also recommended for the prevention of cervical cancer among other benefits. The HIV prevalence in Karamoja stands at 5.3 percent compared to the 7.3 percent prevalence rate across the country. 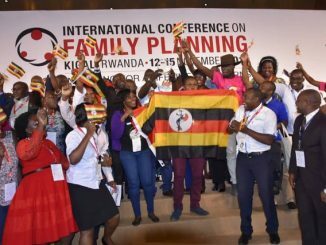 However, there is fear the HIV prevalence in the region is on the rise given the different lifestyle cropping in the region after disarmament. Helen Pulkol, the Moroto Deputy Resident District Commissioner, says the new lifestyle exposes many young people to HIV infection. 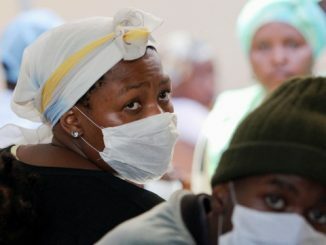 She urges youths to embrace the SMC program to help reduce the risks but cautioned them against social behaviors that predispose them to the virus.